However, if there’s a provision in the contract that requires the other party to pay my client’s legal fees, everything looks brighter. Although the general rule is that each party has to pay its own legal fees, courts allow contract parties to override the rule by contract. That’s where legal fees provisions come into play. Contract law permits parties to allocate the cost of enforcing a contract among themselves. 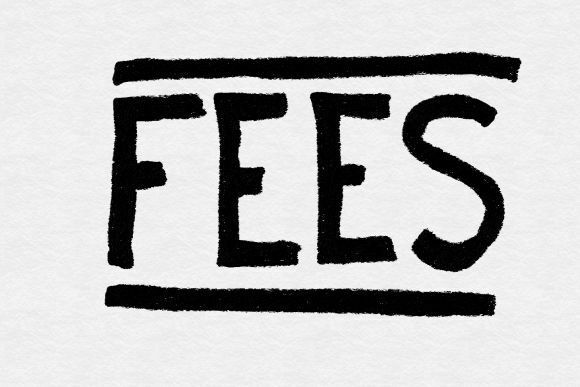 Legal fees provisions can be one-way where one party has to pay the legal fees of the other party, but the obligation only flows in one direction so the other party has to pay its own legal fees. Or they can be mutual where the party who wins litigation pays both parties’ legal fees. Obviously, it’s best to have a one-way legal fees provision in your favor. However, the other party probably won’t agree to this unless you have significant negotiating leverage. In addition, some states don’t permit one-way legal fee provisions. If you can’t negotiate a one-way legal fees provision, you should consider including a mutual provision. This is especially true if you’re more likely to be the party that sues. The Seller is entitled to recover, and the Buyer shall pay, all costs, expenses, and legal fees (including the fees of attorneys and persons not admitted to the bar performing services under the supervision of an attorney) incurred by the Seller in enforcing this Agreement. If either party brings any legal action or other proceeding under this Agreement, then the prevailing party is entitled to recover, and the other party shall pay, all costs, expenses, and legal fees (including the fees of attorneys and persons not admitted to the bar performing services under the supervision of an attorney) incurred by the prevailing party in the legal action or other proceeding. These are very simple provisions designed to be used in circumstances that call for a low legal battle rating. Courts tend to construe legal fees provisions narrowly, so you might want to use more detail to ensure that specific expenses will be covered. For example, will the provision apply to appeals, post-judgment proceedings, and bankruptcy proceedings? Will the costs of investigation and settlement be included? What about expert witness fees? A full provision should address these details explicitly. You should consider defining “prevailing party.” It’s often difficult to determine who the prevailing party is and whether a party should recover some or all of its legal fees. For example, if a suit includes five counts, and a party wins three counts, is it a prevailing party? If so, should it recover all its legal fees or only the fees incurred litigating the three counts it won?